Oral health is a vital part of overall health throughout the life cycle. 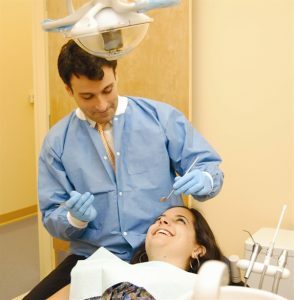 Most people know that regular medical and dental check-ups are important. Yet many people cannot afford routine dental care because of fixed incomes or limited access to care. Poor oral health impacts overall health and increases the risk for chronic illnesses like diabetes and heart disease. Other challenges may include problems chewing, pain, limiting food choices and low self-esteem due to an unattractive physical appearance. Healthy teeth are important to a child’s overall health. From the time a child is born, there are things that can be done to promote healthy teeth and prevent cavities. According to the Center for Disease Control and Prevention, one quarter of adults over the age of 65 have lost all of their teeth. Major barriers for the elderly obtaining proper dental services include lack of access to dental care and high costs. Newark Community Health Centers, Inc.
Southern Jersey Family Medical Center, Inc.
VNA of Central Jersey Community Health Center, Inc.